What can I say, yes, I am obsessed with healthy, beautiful, shiny hair with lost of volume. 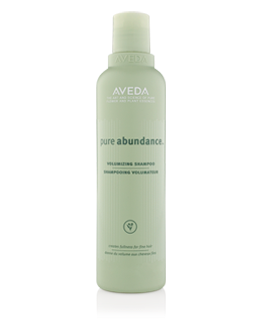 I been using “pure abundance” shampoo and conditioner from Aveda for about 3 weeks and I completely love this line and I want to share it with you my beautiful readers!!! I see my hair with lots of volume, soft and super shiny. I just wash my hair normally and let it dry naturally. I think it’s worth to try for gals with thin hair like me. Ernesto is my hair dresser totally into natural beauty and he recommended it to me. Ernesto thank you! Que les puedo decir, si, soy obsesiva con tener mi cabello saludable, brillante y con mucho volumen. 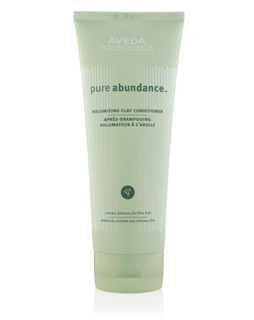 He estado usando “pure abundance” Champú y acondicionador de Aveda como por 3 semanas y la verdad estoy adorando esta linea y lo quiero compartir con ustedes mis lindas lectoras!!! Noto mi cabello con muchisimo mas volumen, suave y muy brillante. Me lavo normalmente y me seco al natural. Creo que vale la pena probar para las chicas que tienen el cabello delgado como el mio. 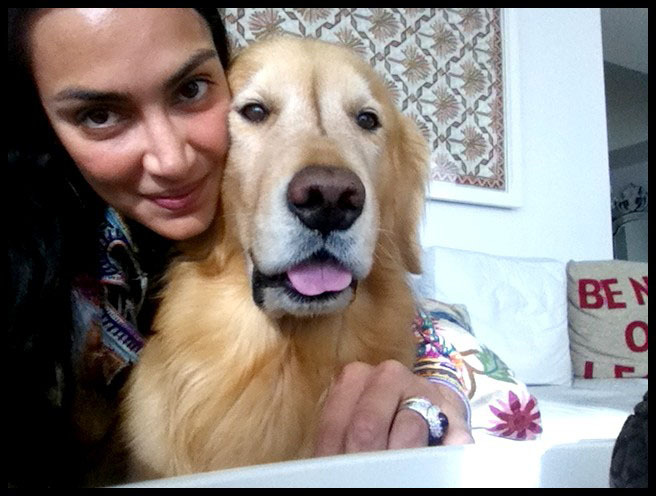 Ernesto es mi peluquero y el esta totalmente metido con todo lo que sea natural y el me lo recomendo. Gracias Ernesto! The “hair potion” is quite popular among hair dressers. I been using it for quite some time already, I found out about this one during a shoot. This works well she you want to add extra volume. It gives you the look of like “gritty” second day hair. El “hair potion” es super popular entre los peluqueros. Ya lo vengo usando por un tiempo, y lo descubrí en un trabajo. Este funciona muy bien cuando se quiere dar extra volumen. Da el look un poco arenoso del segundo día después. 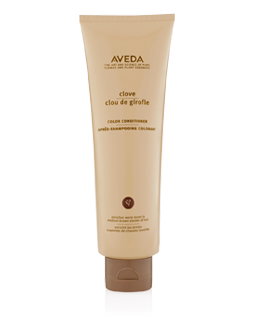 The “clove conditioner” is great as well, adds lots, I mean lots of shine and enhances my hair color, this one in particular is for brunettes and honey colors; there is also one available for blondes and red hairs. 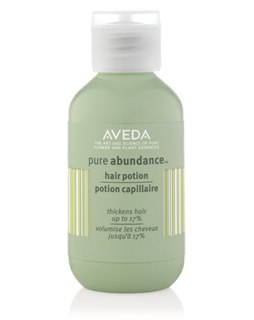 I apply it after the “pure abundance” shampoo, leave it on my hair for about 2 minutes, massage and on top of that, I don’t rinse it, I put the “pure abundance” conditioner and leave it for like extra 3 minutes, rinse and does it. Let it dry naturally now that I have been in vacations or in your case style as usual. El “acodicionador de clavo” también es buenísimo, da brillo, muchisimo brillo y realza el color del cabello, este en particular es para cabellos cafes y miel; tambien hay disponible para cabellos rubios y rojos. 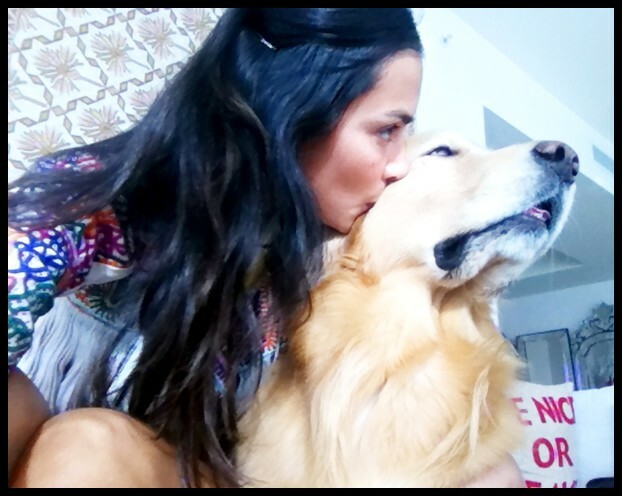 Lo aplico después de ponerme el champu “pure abundance”, lo dejo como 2 minutos, masajeo y encima de este sin enjuagarme me pongo el acondicionador “pure abundance” y me lo dejo como 3 minuticos mas, enjuago y ya. Lo dejo secar naturalmnte ahora que estoy de vacaciones o en su caso particular peine como usualmente lo hace. 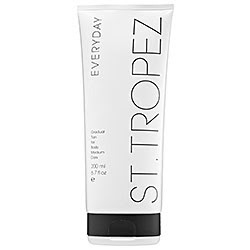 Loving S.t Tropez gradual self tanner lately. I got it as a gift from a friend when I was visiting London a couple of weeks ago, and since I haven’t been able to go to the beach so much lately, it’s perfect to give a touch of color to my skin. It’s smooth and doesn’t have that horrible smell that usually this kind of products have. It’s a moisturizer with a touch of self tanner for a natural looking glow. Thanks Sev! Estoy adorando ultimamente este auto bronceador gradual St. Tropez. Me lo dio de regalo una amiga hace un par de semanas que estuve de visita por Londres, y como no he podido ir a la playa mucho últimamente me ha caído de perlas para un toquesillo de color. Es suave y no tiene ese olor horrible que normalmente tiene este tipo de productos. Es una crema humectante para el cuerpo con un toque de auto bronceador para dar un brillo natural a la piel. Gracias Sev! I hope you girls find this beauty tips helpful. Let me know if you get to try any of the products and how you like them!?!?! Espero chicas encuentren esto como un buen aporte a sus tips de belleza. Dejenme saber si prueban algunos de los productos y que tal les parecen!?!?!? Espero esten disfutando de las fiestas!